MORBIUS came into being in August of 1990 as their first joint effort – a cover of SODOM’s “Nuclear Winter” – had just been completed. Formed by brothers Andy and Matt Sylvester (guitar and drums respectively) and bassist / vocalist Jason Weir, they began writing original material and recruited V. Bee Somphone (guitars) to add depth to their maturing sound. By 1993, MORBIUS had recorded two demos (“Realm” – 1991 and “The Shades Below” – 1992) and performed live shows, a step that gave the band confidence and credibility in the local underground scene. Songs like “Encoffination”, “Tapping the Vein”, and “The Frost” were used on compilation CD’s, 7” singles, and for radio airplay. Overseas, MORBIUS was catching on through tape distribution and promotions, and momentum for bigger and better things was building. 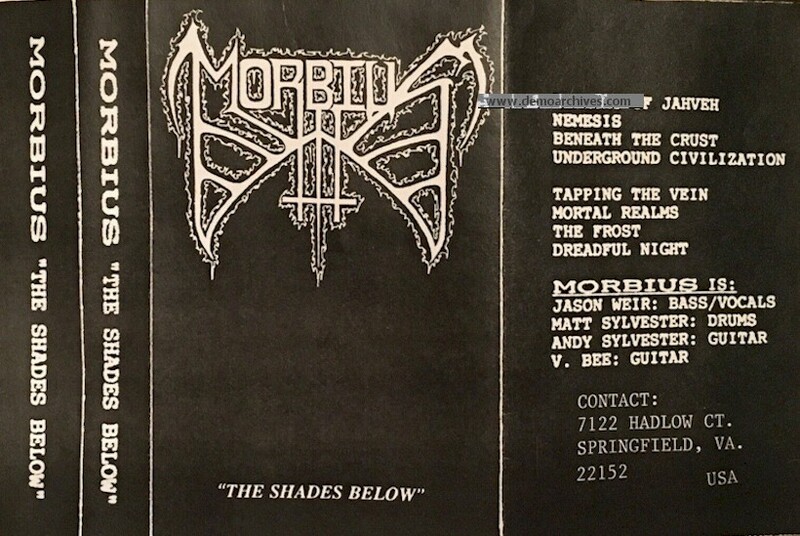 In 1994, MORBIUS signed a deal to have “The Shades Below” released on Last World Records (USA); subsequently only 1,000 copies were pressed, and marketing for the disc was non-existent, allocating the innovative, yet obscure music to the belly of the underground. Xeroxed covers and regular non studio tapes. 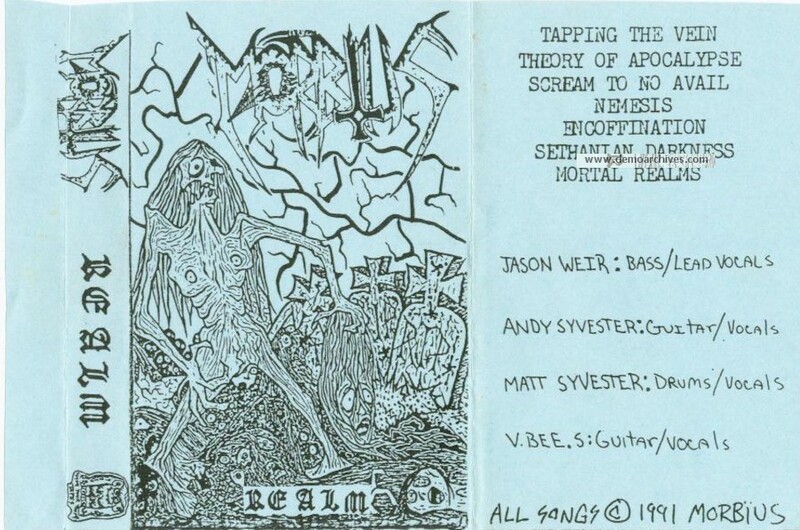 Realm was released twice - original demo had a two page blue cover, the revision included lyrics had a white cover. The last song - "Mortal Realms" - was written and rehearsed one week before we entered the studio. Recorded in August of 1990 / Released by With Your Teeth Productions.